My boyfriend and I visited Bath this weekend to celebrate a new job for him and coincidentally three and a half years together but also to check out Baths culinary scene. 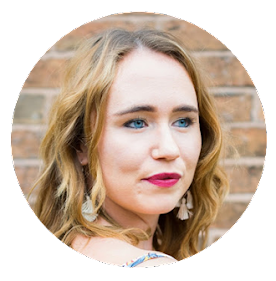 I have previously written some gluten free guides on the blog because Blake is coeliac and even though I am not, I'm happy to eat gluten free food and share my favourite finds with my lovely readers. Bath is home to some of the best producers in the country meaning incredible quality culinary ingredients and of course the famous bath bun.The first ever Farmers’ Market in the UK was held in Green Park Station, Bath and they are also well know for their GIN and CHEESE, so what's not to love? 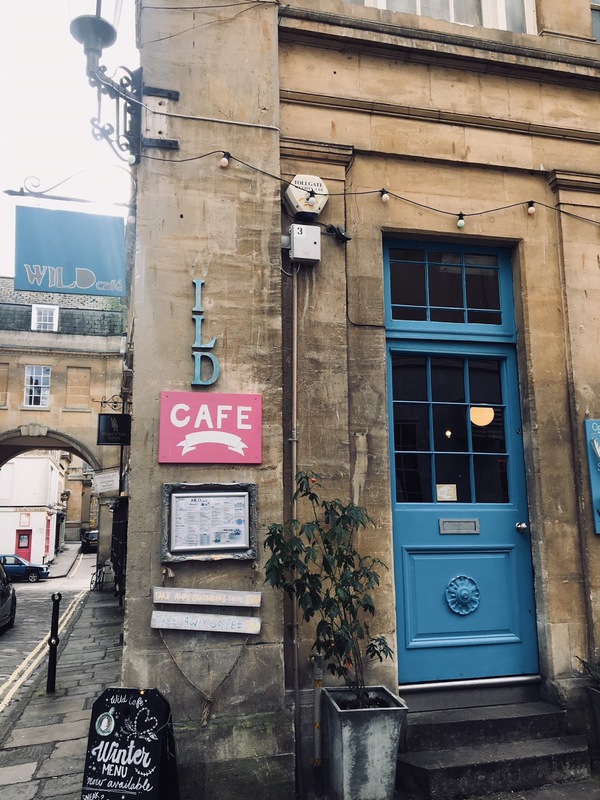 What I noticed about Baths food scene was that there was a mix of traditional and modern restaurants along with independents and chains. 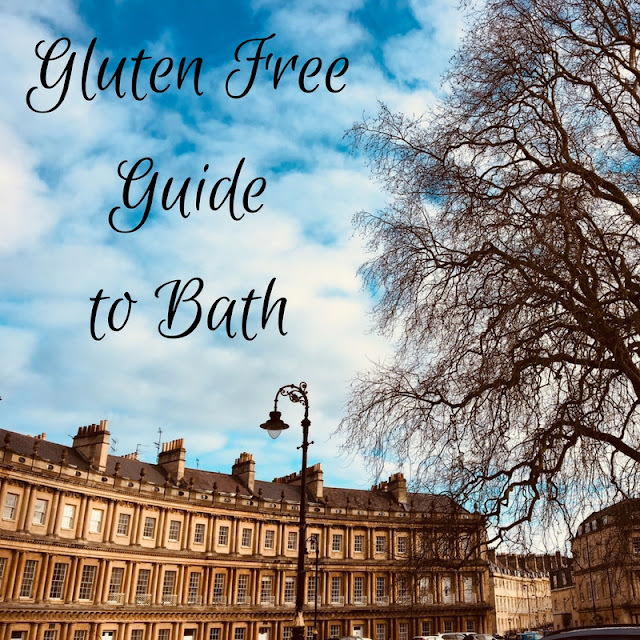 I researched Bath's gluten free cafe's and restaurants before we visited and I was surprised at how many there was, it was difficult but we eventually narrowed it down to the following. After reading about Rosarios gluten free options on TripAdvisor and the fact they are heavily influenced by the owners native Sicily and the British West Country, we had to go! We rarely eat at Italian restaurants because they don't usually cater for gluten free people but this place had an extensive menu, all home made including pastries and cakes, real Italian coffee and all day Breakfast served with gluten free bread. 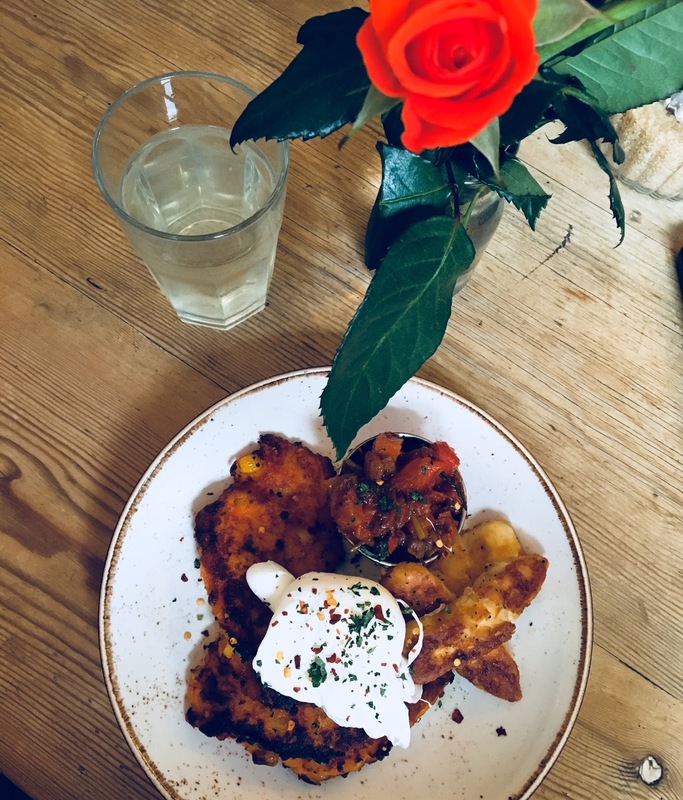 We both opted for the days lunch special which was sweet potato fritters with sweetcorn served with a side of halloumi fritters and pouched egg. I would go as far to say it was the best lunch ever! For dinner we were looking for somewhere sophisticated but who also had gluten free options. We found this with the Circus restaurant, a small family-run restaurant situated in a Georgian house in Bath's most beautiful area -The Circus, hence the name. Their food menu is changed monthly and all of their food is locally sourced and freshly cooked by their excellent chefs. This place is very charming and welcoming. 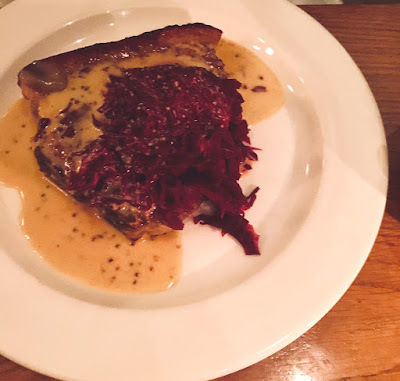 We had gluten free bread to start, then for mains I chose the free range duck from Devon wrapped in a pancake with hoisin sauce and Blake went for the T-bone pork served with red cabbage sauerkraut, the only food we had to take off was the black pudding as this wasn't gluten free. 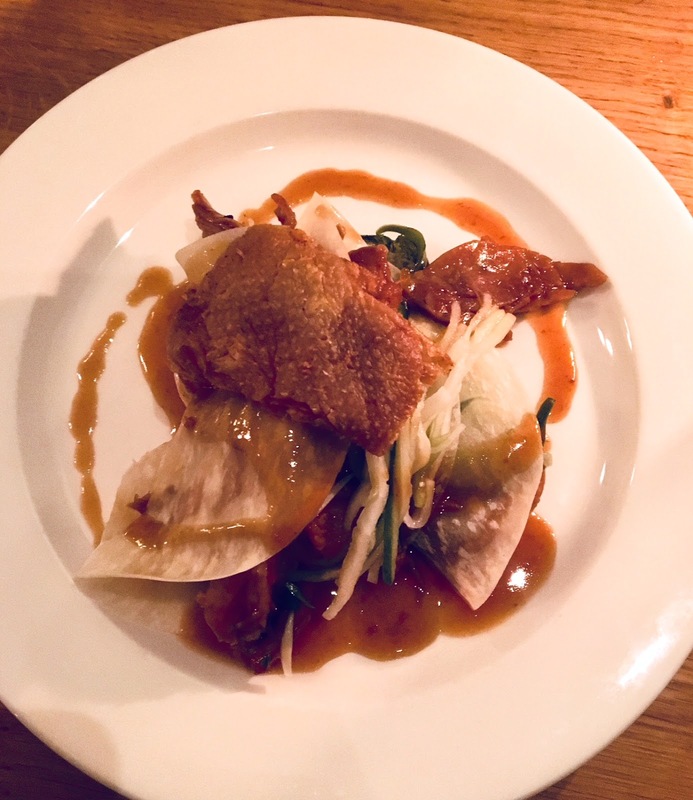 For its incredible location, I was surprised at their reasonable prices (average main £22) and we could tell we had picked a fab place to eat when they were turning people away at the door because they were fully booked, so be warned book early! The Wild Cafe is known as one of the best places to eat brunch in Bath, but we weren't sure from TripAdvisor or the website if they offered gluten free bread but being a short walk away on Queen Street we popped in to ask and by our surprise they did! With an open plan kitchen there is the chance of cross contamination if you are a severe coeliac, but if not you will be perfectly fine. The brunch menu has something for everyone including pancakes, eggs served however you want them, chorizo and a whole lot more. 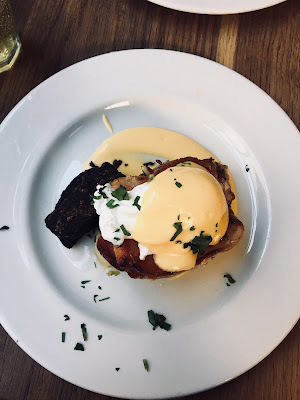 I opted for the bubble and squeak with homemade hollandaise sauce, bacon and a side of black pudding it was really delicious! 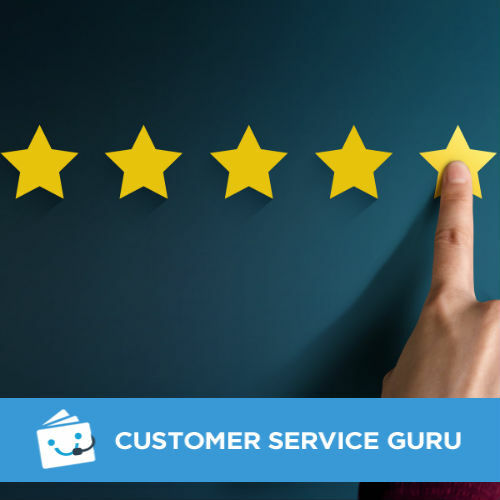 All of their food is sourced from local suppliers and they cook everything to order. 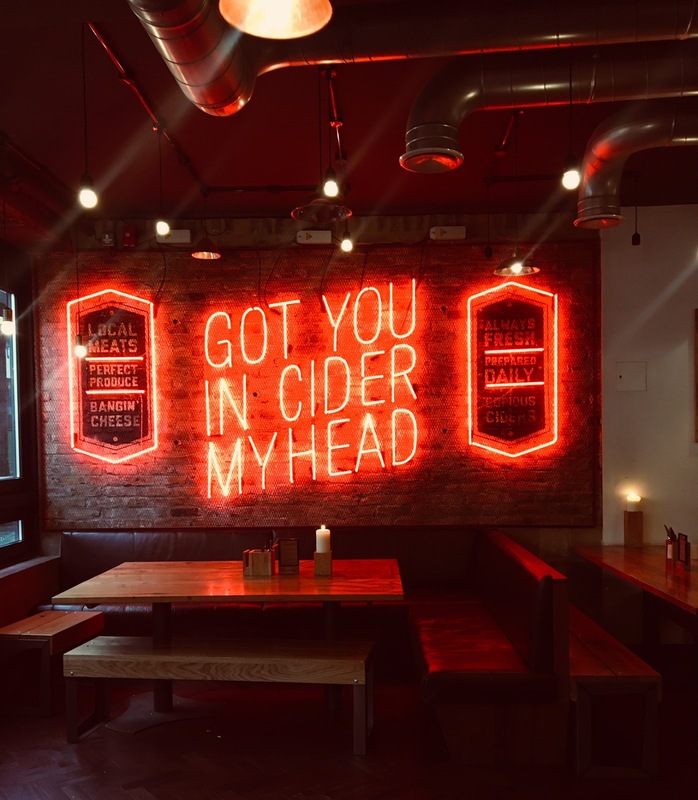 You might have heard of this pizza and cider chain as they are pretty much everywhere around the country. On this occasion we didn't stop for Pizza and instead we just had one of their excellent cider tasting boards but I have eaten at the Birmingham one and they offer gluten free base on all of their pizzas. One thing me and the boyfriend love is pizza and cider so it's great for us that we can share this love together! Look out for my "Things to do in Bath" post coming soon! What's your favourite food in Bath?